The topographical layout of the 18 holes is over gently wooded hills which adds to its overall beauty. 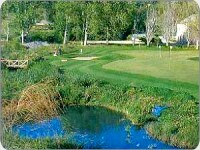 The course offers interesting water hazards, some elevated greens and added to this is the challenge of the strong winds that some times occur. 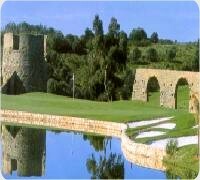 This course has to be played with respect for its architect Robert Trent Jones Jr. who has created a golf course that demands skill from most experienced golfers. 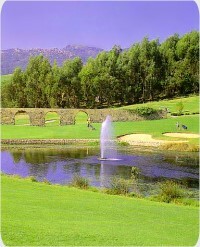 The course has hosted the Portuguese Open and several important international events.